Nothing is scarier than being dropped off in an unfamiliar place, especially if that place happens to have over 17,000 people bustling around. Ohio University can be intimidating on your first day as a freshman. However, you should have no problem fitting in as long as you have the inside scoop on what it takes to survive in Athens. When it rains, it pours–especially at OU. Rain boots are an absolute must when trying to navigate the brick streets of Athens during “monsoon season.” Don’t worry about breaking the bank on the pair from Nordstrom when we all know Target is bae. As long as you avoid looking like a newbie freshman slipping and sliding to class in your one-dollar, rubber flip flops from Old Navy, you can stay away from all forms of embarrassment. 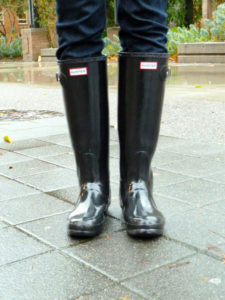 “Always keep an umbrella in your backpack along with the rain boots,” OU sophomore Emily Poulton said. If you want to avoid sitting in class dripping wet with soggy socks, grab both and check your weather app before you head out. Your toes will thank you. Halloween, or HallOUween, as it’s better known on campus, is one of the biggest celebrations in Athens all year. Decide now if you want to pay the fee to bring an outside guest for HallOUweekend or just party it up with your fellow Bobcats. “You shouldn’t feel pressured to have anyone come for HallOUween because it’s so much more fun when the only people you have to worry about are your school friends who know the campus,” OU sophomore Mary Carter said. Also, start thinking of your costume now. Students begin planning and crafting their costume in the summer. Last-minute cat ears and whiskers drawn on with eyeliner won’t cut it at OU. Consider doing a group costume with your friends–like the classic cops and robbers look. Get in the HallOUween spirit to truly fit in on campus and not spook the upperclassmen with your creepy freshmen tendencies. Yik Yak: the app famously known for connecting students to ideas and gossip in and around campus. At Ohio, Yik Yak gives you the inside scoop on anything happening on campus. OU students use the app to broadcast things like club events, parties and college-worthy PSAs. How else would you know when there’s no line at Donkey Coffee? Yik Yak keeps you in the know on a big campus, especially for freshman who know absolutely nothing. OU students love to go to sporting events–especially football games. Maybe it’s the typical beer pong and corn hole games at tailgates beforehand. Maybe it’s the intense MAC games bursting with green and white and hatred for our rival Miami University. Maybe it’s the incredible Marching 110 every halftime. No matter what brings you to Peden Stadium (the oldest and best stadium in the MAC), football games are obviously the place to turn up and celebrate with your fellow Bobcats, which is why the priority seating you get with an O Zone Pass is too great to not get. Best part? Your O Zone Pass also works at basketball games, giving you the best seats that you’ll ever have. Bobcats love to hike outdoors and you don’t want to be the runt of the pack. 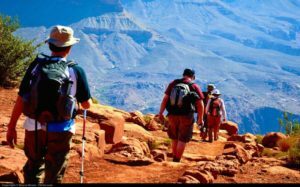 But you don’t have to deplete your bank account to buy the most up-to-date hiking boots either–no one’s aiming to be a professional rock climber (or has money for that after buying textbooks). Still, you definitely need some shoes you can get active in with your friends. You might also need hiking shoes just to conquer the on-campus terrain–ask any student about Jeff Hill, and they’ll tell you to bring an inhaler as well. Are you living on East Green next year? 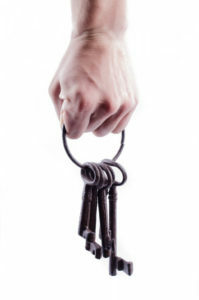 Then a key hook for your dorm is a must–especially because OU still uses traditional keys for their dorms (say what?). If you’re like me and lose just about everything you attempt to keep, a key hook will save you lots of stress, time and money (because you probably have to pay a whopping $95 to replace it). Decorate it, hang it near the door and boom! You’re already super organized and ready to adult. Worried the weight of your keys will peel the paint on your oh-so-glamourous cinder block walls? “Buy a $1 bottle of acrylic paint in the shade of your wall and patch it up,” sophomore Avery Kerns said. 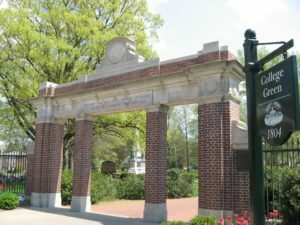 Athens prides itself on having mostly local restaurants, supporting entrepreneurs and startups in the city, and creating the unique atmosphere of OU. But there’s one familiar place students love to grab a bite to eat—Chipotle. “It’s pretty much the only chain restaurant we have,” sophomore Jackie Andrascik said. Because college students have to ball on a budget, ask for gift cards as a graduation present before you move in. Now, anytime people head out for burrito bowls you know the tex-mex deliciousness won’t break the bank. Oh, and you can ask for guac without thinking twice. All Bobcats look forward to Fest Season, the time during the spring semester when parties can be found on a different street every weekend. 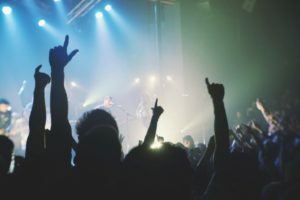 Fest All leads up to Numbers Fest, a huge concert that this year featured acts like Fetty Wap, The Chainsmokers and Kiykee Heaton. Not only does everyone on campus show up, but people from all over the country do too. Want to blend in with the upperclassmen? Buy a jersey. You’ll look like a veteran instead of the new kid on the block. Nothing’s more embarrassing than trying to quietly sneak out a side door 15 minutes after a lecture begins because you realized you walked into the wrong class. This tragedy might seem unavoidable on a campus as big as OU, but the Ohio U Map app saves all students from this cringe-worthy, obviously-freshman moment. The app costs 99 cents, but the feeling of knowing exactly where to go is priceless. Don’t be the freshman wandering hopelessly like a lost puppy your first semester–it’s not a cute look, unless you’re using the Snapchat filter, of course. Bobcats are friendly, loving and helpful people. When you become a Bobcat, you adopt this attitude. OU isn’t just a college, it’s a family. While we tend to be dysfunctional at times, we look out for each other and accept new ideas and people. If you truly want to make your first year in Athens a great one, then start every day with a smile. A positive attitude is a foolproof way to make friends and truly survive your freshman year. RaeAnn is a freshman at Ohio University studying journalism. She is very fond of French onion dip, cats, and tweeting her feelings.